I love it when customers send me photos of their beautiful landscapes. This one really knocked my socks off! 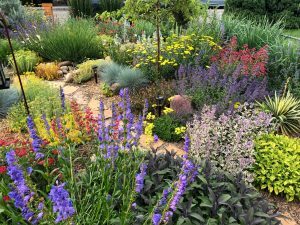 Jacob filled his smallish front yard with a huge variety of plants, and his approach has paid off–low water but full of vibrant color. Photo courtesy of Jacob Durtschi.